The whole process of growing your own plants offers incredible pleasure, but it requires a lot of work, too. Gardening is not just about getting your hands dirty and to make it right, you will have to use proper tools. Especially for beginners, there are some irreplaceable utensils which can be useful in most of garden maintenance tasks and the work around the backyard in general. The job will be twice as easier and the results twice as better if you choose your “gardening weapons” with care. Plus, you will avoid scratched hands, strained back muscles and other nuisances. Here are some of the most basic tools you will need. This is the tool that you will inevitably need for your garden activities. A standard spade usually has an 11 x 8 inch blade, so it is well-suited for both small and large gardens. For planting tasks and garden-borne digging, you should choose a border spade. Because they are lighter and have smaller blades, border spades are not suited for large plots, but for less spacious areas. As you should look for the spades that resist rust, the optimal choice material here is stainless steel. Also, make sure the head of the spade is firmly connected to the handle, so it would not come apart. Gardening forks come in two different types: the border fork and the digging fork, the former of which is lighter and has narrower and shorter thins, while the latter is used for heavy cultivation, which makes it better for working in tight plots of land. The garden fork is a perfect tool for turning and aerating the soil. It can come in handy when dealing with buried roots or rocks. For a garden with tough-to-work soil, there are special forks with heavy-duty tines that will not bend easily. Garden rakes are necessary for smoothing out mulch or soil in a planting bed. They can be made from different materials, such as wood, aluminum and steel. 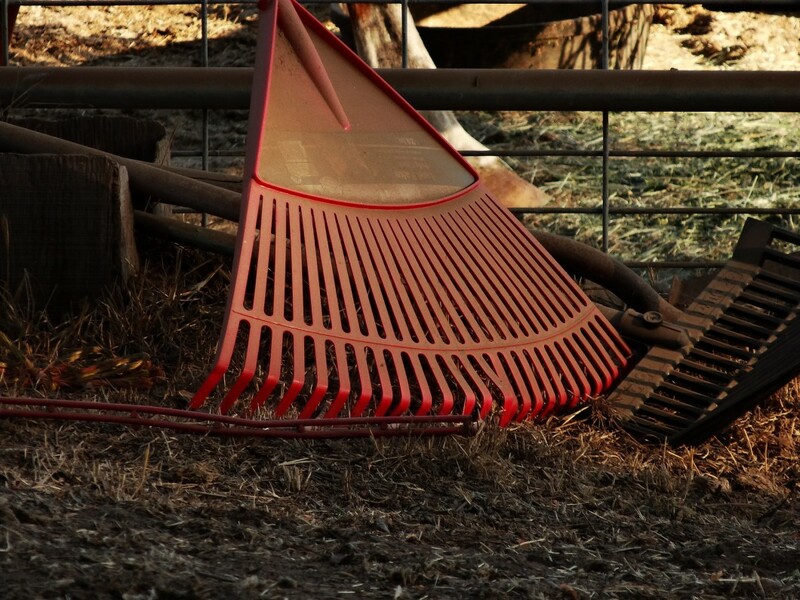 Wooden rakes are mostly used for soil leveling, because of their wider heads, while the lightweight counterparts, usually made of aluminum, are ideal for gardeners that are not used to lifting heavy tools. Weeds are among the most serious issues that a garden can face. 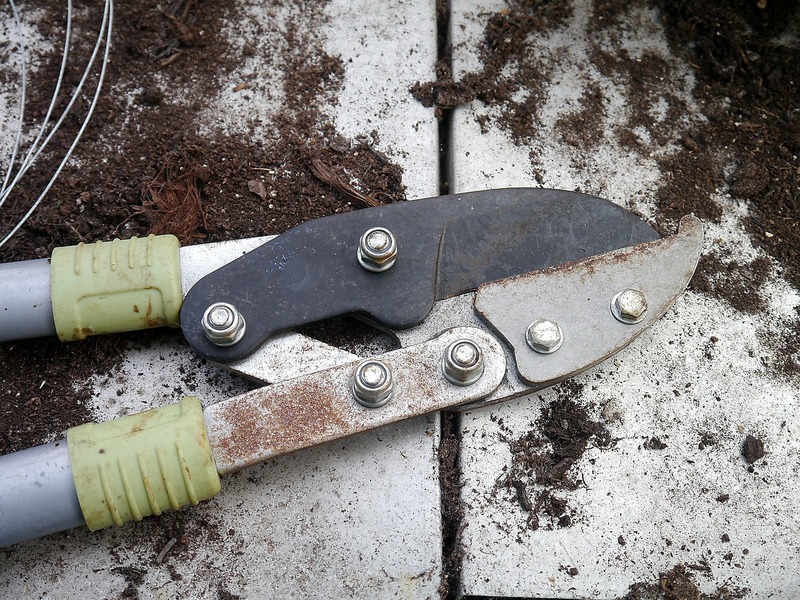 In order to have successful results (and minimize the stress in doing so), you should use proper weeding tools. The garden hoe is one of those old-fashioned but still great tools for cultivating the soil and removing annoying persistent weeds. There are two kinds you should be familiar with: the push hoe and the draw hoe. The former has a flat and sharp blade is eliminating the top growth, but it leaves the roots intact, while the latter is efficient in uprooting the weeds. When some of the vegetables grow out, they will need protection from various pests and the elements. When choosing the supporters, make sure that you are well-informed about each plant’s needs and the maximum growth. Luckily, you have plenty of options, such as bamboo canes, nylon netting, light chicken wire mesh or pea sticks made from birch or hazel twigs. Your plants will be able to grow safely while climbing and reclining on the supporters as they mature. Cloches are great for protecting vegetables from birds, insects and rodents. Besides helping you to preserve the fruits of your hard gardening work, they are also helping increase vegetable crops. The plastic ones are very durable and cost-efficient, while those made of glass provide the most efficient insulation. Your decision should be made based on the weather conditions in your area. As you can see, gardening can be made much easier by using the right tools. If you do not already own some of these tools mentioned above, I wholeheartedly recommend that you upgrade your toolbox as soon as possible. You will invest less effort in planting, weeding and other tasks, and the results will be more than satisfying. Article written by Lillian Connors. If one thing is true about Lillian Connors, her mind is utterly curious. That’s why she can’t resist the urge to embark on a myriad of home improvement projects and spread the word about them. As the Co-Editor at SmoothDecorator, she cherishes the notion that sustainable housing and gardening will not only make us far less dependent on others regarding the dwellings we inhabit and what we eat, but also contribute to our planet being a better place to live on. You can check her out onTwitter and LinkedIn.